Ninilchik and Cook Inlet, Alaska is home to the BEST Pacific Salmon & Halibut fishing in the world. Welcome to the Original Alaska Fishing Charter! Enjoy a truly Alaskan Charter Fishing Experience with the Roe's. Our Alaska charter fishing company is family owned & operated and we provide the finest Alaska Fishing Trips around. Our year round home and office is located on the beautiful Kenai Peninsula in the village of Ninilchik, which is also home to some of the best Halibut Fishing and Salmon Fishing in the world. We have a nice, quiet location off the beaten path with easy access and circle drive for motor homes and larger vehicles. Ninilchik is a scenic, 45 minute drive from the Kenai/Soldotna area. Your resident guides, Rich and Richie, who are father and son, have been fishing the waters of Alaska since 1984, both as commercial fishermen and sports fishermen. Both are USCG Master licensed, CPR/First Aid certified and insured. With our Experience and Knowledge we will make your Alaska fishing trip as successful and enjoyable as possible. 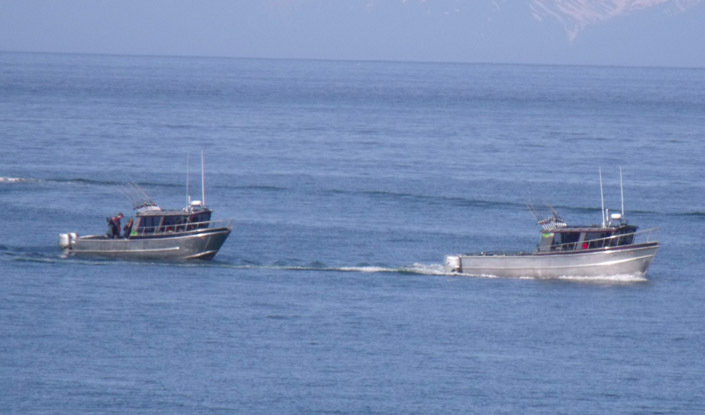 While fishing with Roe's Alaska Fishing Charter, you will receive the friendly, personalized and productive service that only years of actual on the water experience can provide. Come join our Alaska Fishing Charter for you next Alaska fishing vacation. Alaska Fishing Charter offers highly productive Kenai fishing trips and Soldotna fishing charters. 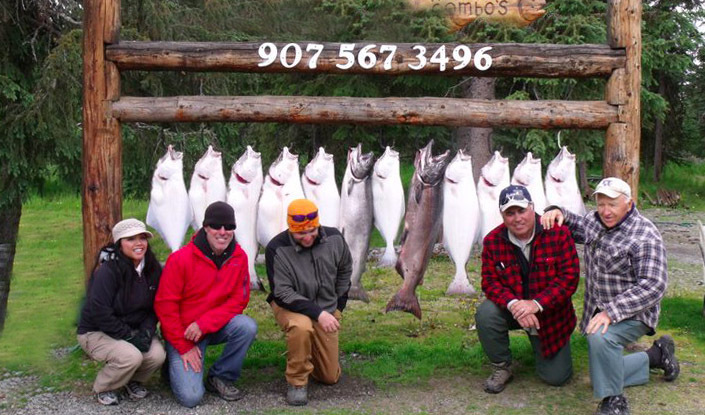 We are service oriented and know how to find and catch Alaska Salmon and Alaska Halibut. 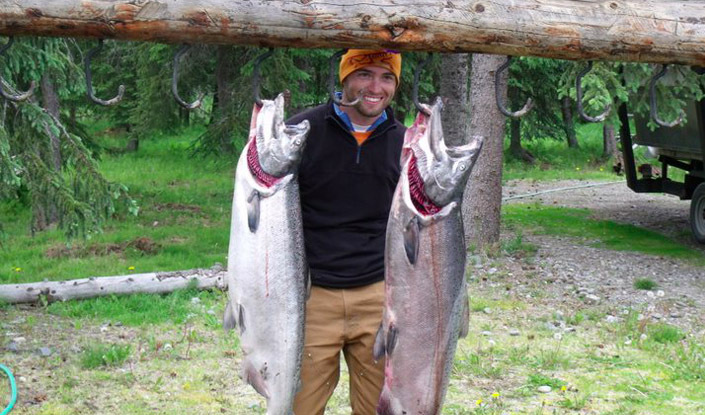 We will take you and your group Alaska King Salmon Fishing, Sliver Salmon Fishing, and Sockeye Salmon Fishing. 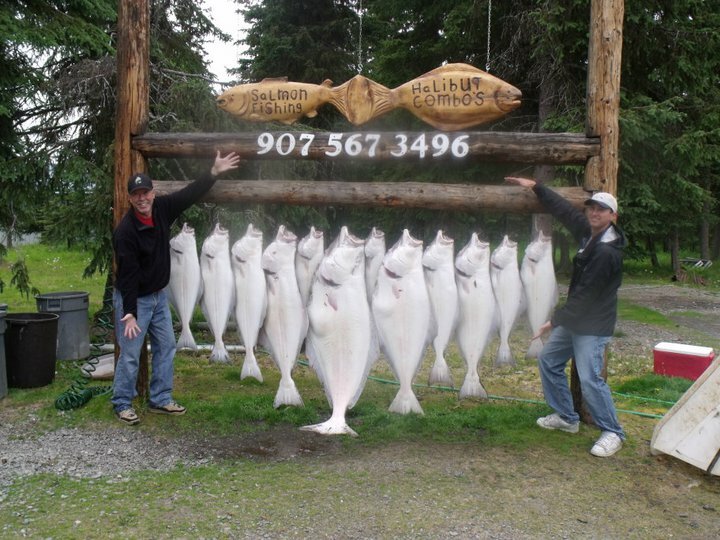 We also offer Alaska Halibut Fishing Charters that will keep you on the edge of your seat. Anglers that wish to try their hand at fishing for Salmon and Halibut in the same day can try on of our Alaska Combo Fishing Trips. 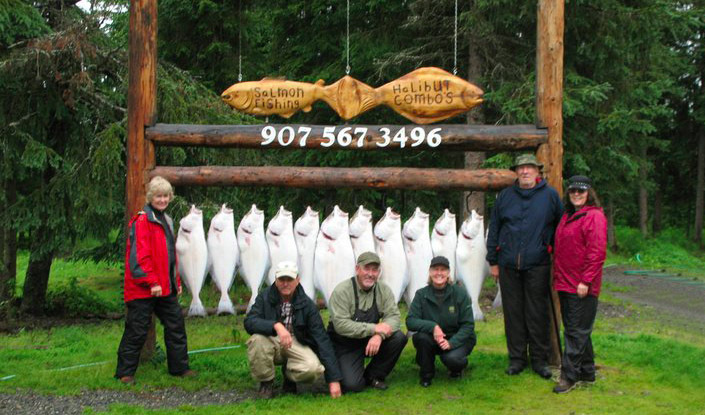 Call Alaska Fishing Charter today to book the fishing trip of a lifetime. You will be Alaska charter fishing from boats custom designed and built right here on the Kenai Peninsula specifically for Alaskan saltwater sportfishing. Our boats are 28ft and 32ft and are powered by reliable and quiet twin Honda 4-stroke outboard motors. Both boats have fully enclosed heated cabins with restroom facilities, and extra large open fishing decks. Both charter fishing vessels are equipped with state of the art electronics including global positioning systems, fish finders, depth sounders, VHF radios, CB radios, cell phones, and top quality fishing gear. We are very safety conscious and have our boats inspected annually by the Coast Guard. Our equipment meets or exceeds all Coast Guard requirements. TO BOOK YOUR NEXT ALASKA SALMON FISHING CHARTER! The best salmon fishing on the beautiful Kenai Peninsula. Discover Alaska one fish at a time! 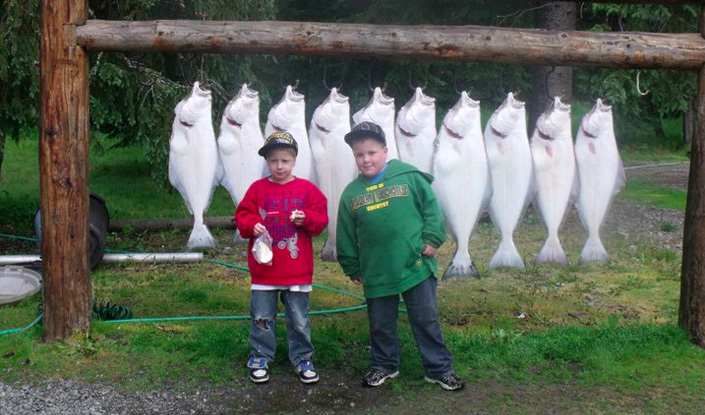 Ninilchik is home to the best Halibut and Salmon fishing in the world. 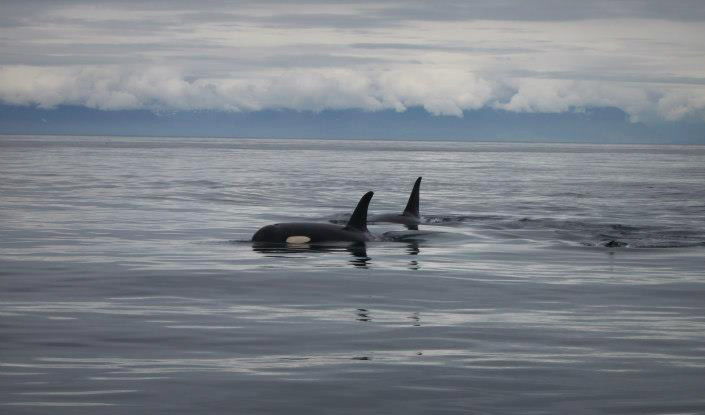 Find out more about the Ninilchik, Kenai, and Cook Inlet area.